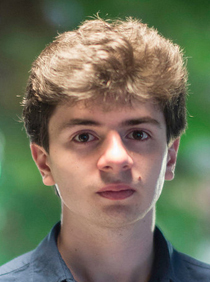 Franco-belgian pianist Antoine Préat was born in August 1997 in Paris. Often described as a promising, strong-tempered young artist, Antoine is in demand both as a chamber musician and a soloist. Antoine began his studies at the age of nine at the Junior Paris Conservatoire (CRR de Paris). One year later, he made his public debut at the Salle Gaveau. In 2011, he was invited to continue his studies at the Ecole Normale de Musique A. Cortot, from which he graduated with a distinction at the age of 17. During his time at the Ecole Normale, Antoine had the chance to be taught by Guigla Katsarava (taught himself by Lev Naumov) and Ludmila Berlinskaia (protégée of Sviatoslav Richter). Deeply affected by this Russian teaching, Antoine decided to continue his studies at the Royal Academy of Music in London, under the tutelage of Tatiana Sarkissova, where he was awarded a scholarship. During his studies, Antoine also completed courses of musical analysis, history of music, chamber music, accompaniment and harmony. Looking to enrich his understanding of the instrument and of the repertoire, Antoine began to study fortepiano and period instruments with Carole Cerasi, and has been fortunate to receive counsel from Andreas Staier, Tobias Koch and Yves Henry. He has also had the opportunity to perform on period instruments in England, France and Poland. Antoine is an avid chamber musician, and dedicates himself to his trio, Trio Cordiera, formed at the Academy in 2016, coached by Amandine Savary from Trio Dali. They have also received teaching from various chamber musicians, such as Bengt Forsberg, Michael Dussek, Jack Liebeck and will perform at the Wigmore Hall during the 2017-2018 season, as well as throughout England and Europe. In 2016, Antoine was the youngest artist to be invited to join the Centre de Musique de Chambre de Paris, (directed by Jerome Pernoo) with whom he gave twelve concerts at the Salle Cortot in Paris. Antoine has also received prizes for his piano/cello duo and welcomes new opportunities to make music. 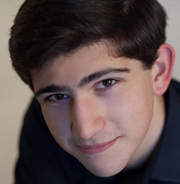 He has been a finalist/prizewinner in numerous national and international competitions such as the Ettlingen competition for young pianists, the Concours International de la Ville de Gagny, the Concours international d'Ile de France, recieved an honor prize at the New York Début Piano Competition, and more. 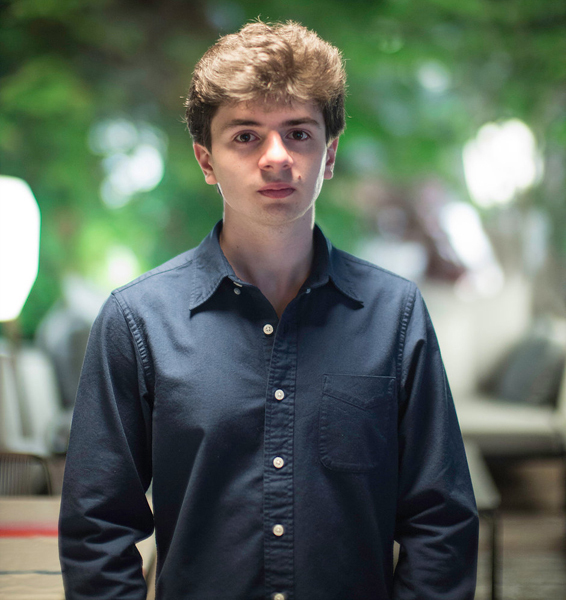 Antoine made his orchestral debut at 17, playing Rachmaninov’s second concerto under the baton of Mihnea Ignat. Throughout his education, Antoine has regularly received guidance from Philippe Cassard and Alberta Alexandrescu as well as followed masterclasses with Robert Levin, Jerome Lowenthal, Bruno Rigutto, Stephen Hough, Muza Rubackyte, Pavel Gililov et Pascal Dévoyon, amongst others.